Happy new year folks! Before you leap into the chasm that is 2018, we have have a Simblified reminder trilogy of the WTF that was 2017. 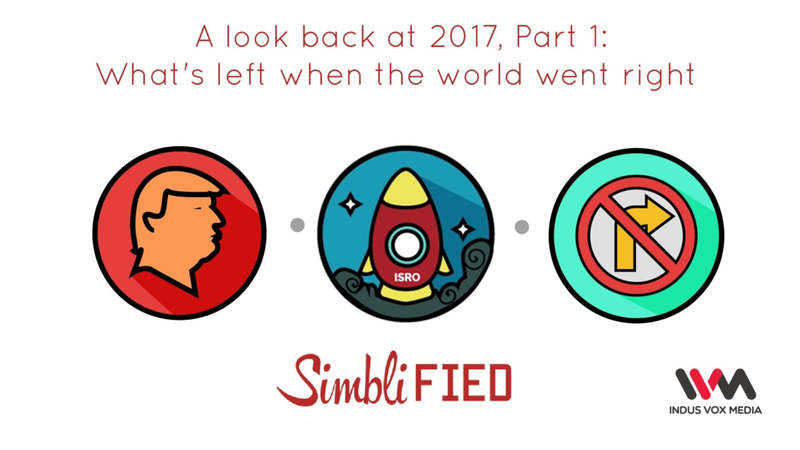 Join Chuck and Srikeit as we revisit the opening third of 2017 which included Trump's inauguration, Serena Williams' incredible Aus Open win, ISRO's launches, Dutch and British politics and many more milestones of the year. We know your new year's resolution is to listen to more podcasts so this is the best place to start!